DroneBlog covered us a few days ago in a post called DataFromSky offers traffic analysis of aerial video data. Given that the blog is mostly for the drone sector, there is a lot of text dealing with traffic data collection basics and particulars. 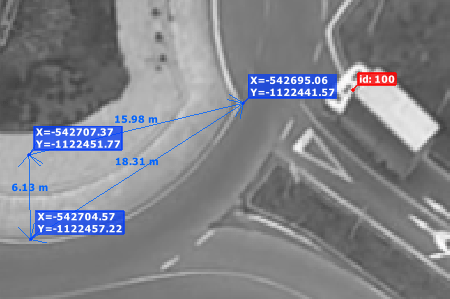 There is a bit of history behind DataFromSky as well – how a group of computer vision specialists got into traffic analysis. In other news, we are at Intertraffic in Amsterdam and the concentration of minds and companies is spectacular. We hope to get some newsworthy partnerships and arrangements! 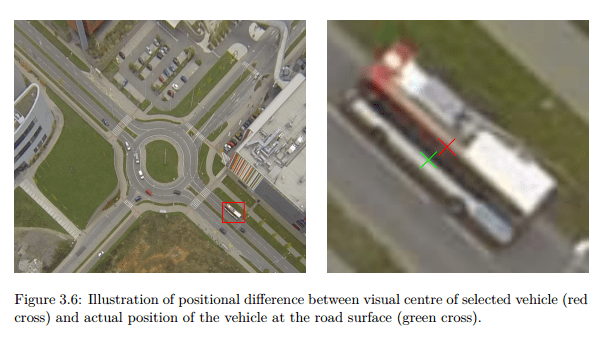 We have been recently asked by a student of civil engineering from University of Trieste to analyze a video for his master’s thesis titled “The Design of Road Intersection“. 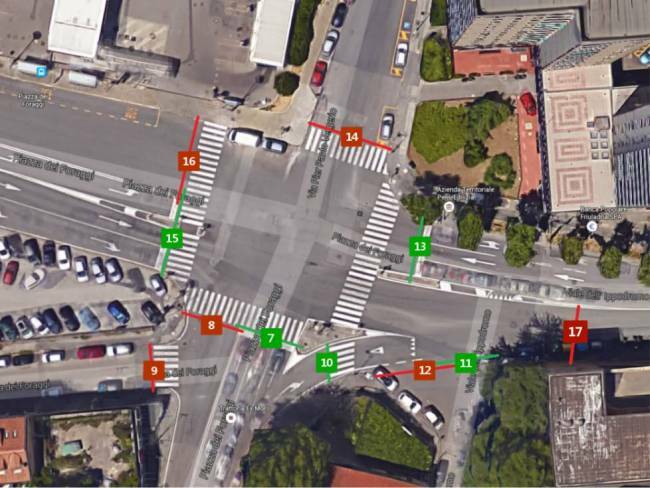 The analysed crossroad is an urban traffic-light intersection, located in the suburbs of the Municipality of Trieste. 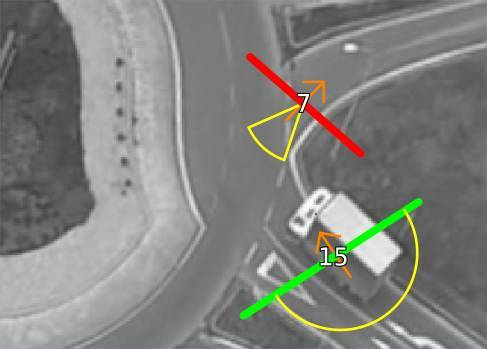 The intersection presents a substantial traffic flow especially in the morning and the evening hours. Most of the inhabitants which live in the suburbs of Trieste cross this road intersection to go to work, to school and to university. Gate placement – click for Google maps. The building with camera is on the right. In this survey, we tracked 3 617 vehicles which travelled 338 898 meters in total. Length of the analyzed video was about one hour. 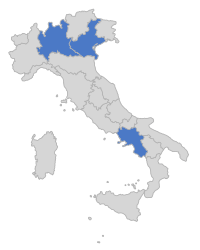 We are looking for partners from academic sphere as well! If you want to utilize DataFromSky approach in your research, do not hesitate to contact us.